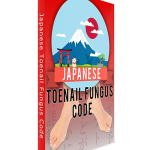 Japanese Toenail Fungus Code by ‘Terry Williams’ is nothing but a very annoying scam … and in this short review you’ll learn all you need to know about this pathetic excuse of an anti-fungus product. So let’s get started, shall we? Anyway, let’s briefly look at the backstory of this scam. Terry Williams tells us a sad story about how his wife Caroline suffered from liver failure and almost died … all because she had a toenail fungus infection and made the ‘big mistake’ of seeing a podiatrist. So what was the awful thing the podiatrist did to Caroline? He prescribed her ‘a death cocktail’ of Lamisil. By eating carbs, we also feed the fungi in our system since they love eating sugar. Now to the fun part, shall we? 1. Terry Williams Does NOT Exist! Terry Williams claims to live in Oak Park, Illinois, with his wife Carolina and two children Mathew and Jessica. But that is a lie because that photo passed off as him actually belongs to a French model called Bill Smithy! This absolutely rubbishes his sob story of his wife almost dying from toenail fungus. It also exposes him as a liar who never rescued any ‘Ayumi Hayashi’ from an abusive boyfriend. He also never met any ‘Dr Ishiguro’ … and these characters do NOT exist! All the testimonials featured on Japanese Toenail Fungus Code were made using paid actors and stolen photos. 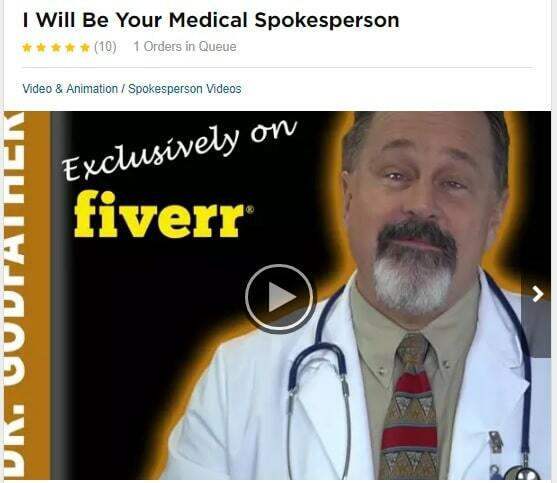 Take for example that man calling himself ‘Dr Adam Davis.’ He’s just an actor called ‘Godfather.’ You can hire him on Fiverr.com starting at $100. As for the woman calling herself ‘Sue Holt,’ rest assured that she’s just a paid actress like the fake doctor above. Here are two videos of her on YouTube giving testimonials under the names ‘Suzie‘ and ‘Marina’. 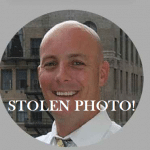 ‘Brandon Little’ from Grand Rapids is actually the stolen photo of a man called Brandon Sheppard. So as you can see, they are all absolutely fake! Organic Fungus Nuker has a different set of fake testimonials. I’ll do a more detailed review of Organic Fungus Nuker if the need arises. 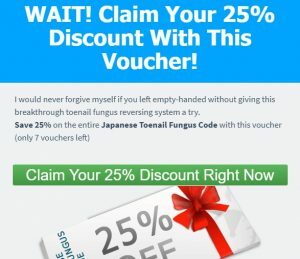 Japanese Toenail Fungus Code has one of the highest levels of scammy advertising that I’ve seen so far. First, the scammer tries his best to convince his readers that the medical industry is out to kill them with Lamisil and Sporanox, the two drugs most often prescribed to fungus patients. However, the scammer fails to tell you that anti-fugal drugs like Lamisil and Sporanox are toxic to humans because fungal cells are similar to that of humans and so the drugs that kill fungal cells will also kill human cells when taken orally. That’s why most antifungal drugs are in ointment form … and oral ones like Lamisil/Sporanox are only prescribed in severe, especially stubborn cases. Aww … how nice of you, Terry! Final Conclusion: DON’T BUY Japanese Toenail Fungus Code. It is A SCAM! Software Projects is the retailer of this product. So if you made the mistake of buying it, ask for your money back by using this form or calling 1-800-218-1525. Candida Crusher. This program by experienced naturopathic physician Eric Bakker has all the information you need to cure any kind of fungal infection. I highly recommend this program so you can either buy it now or read my review for more details. Feel free to use the comments section of you have any contributions to make. Thank you! I have just stupidly sent off for this. I felt so unwell that I ignored my instinct and paid up. Does anyone know how to get refund… are they just total criminals then? Like you don’t mention if you actually get sent a product in the post and whether it works? I was expecting a kit in the post… but now I am confused..
Also I serached in picture of Dr Ishigoru in Google Images. The picture is extracted from a documentary film. I downloaded the footage. The picture of Dr. Ishigoru is from it. The oldman is no a doctor! And there it is… the final sales pitch. Where do I REALLY find a cure from genuinely unbiased review?? Soooo, who is zooming who now! Sure glad I found this research before buying . I Cannot Stand people that scam the unknowing consumer and feel their computers should be smashed over their heads If you were scammed I am so sorry for you and all the best. What I have found out about Toenail Fungus is that the Fungus itself hates acidic things like White Vinegar some people say there is a formula for using this with Vicks Vaporub but do your research natural remedies are out there and stay clear of the Internal Drugs for this fungus unless you want liver damage.